Both major political parties have ignored the need to make provision for tenants in their energy policy. The NSW Labor Party and Liberal Party have announced policies to promote clean, green, solar energy. The Labor Party has promised rebates to 500,000 home owner occupiers with incomes up to $180,000. The Liberal Party have their own scheme. They propose to provide interest-free loans for solar batteries and solar power for up to 300,000 home owner occupiers. Each scheme no doubt has its merits. These can be argued by the combatants prior to the forthcoming election. Neither party has promised anything to investors. Neither party has promised anything to tenants. I understand the political problem for politicians offering rebates or interest free loans to investors. If there is not an adequate framework to ensure some or all benefits are passed on to the end user; the consumer of electricity; the person living in the property; the tenant then these handouts will be seen as a grant to the undeserving wealthy. Landlords are already a maligned group despite their numbers! There are provisions to ensure that tenants of properties with solar panels gain the benefit of lower electricity prices. There is little incentive for investors to provide facilities if they do not receive an adequate financial return. My best guess is that there is no incentive for landlords to make such investments. Rental properties with solar panels are in the main owner occupied homes, which have moved to the rental market. Similarly, no tenant with a 1 to 3 year fixed term lease has an incentive to invest in solar panels for a rental property, when there is a 10+ year pay back. At the end of a tenancy, they can’t very well dismantle their solar panels and take them to their next residence. My proposal is that governments sponsor or encourages power companies to construct strata scheme solar farms. Solar panels are sold off to anyone who cares to purchase them. 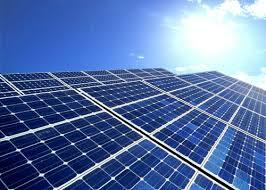 Tenants, owner occupiers of units or astute green investors could buy as many solar panels as they require. The operator of the farm would collect a small fee from the strata owners. The electricity can be stored in strata scheme batteries. Piped down existing lines (at a cartage cost) to any household or sold back to the grid as required. Shane Spence is the principal of Shane Spence Real Estate at Fairlight since 1997 and services Manly and the local Northern Beaches area. Shane can be contacted on 0412 226 722 or shane@shanespencerealestate.com.au.